Chris TT is now 7 albums into a career that sees him now set as something of a cult figure on the music circuit and after 2008 rockier "Capital" his new album "Love Is Not A Rescue" sees him move back to an acoustic sound with less political lyrics which makes the songs a lot more personal. 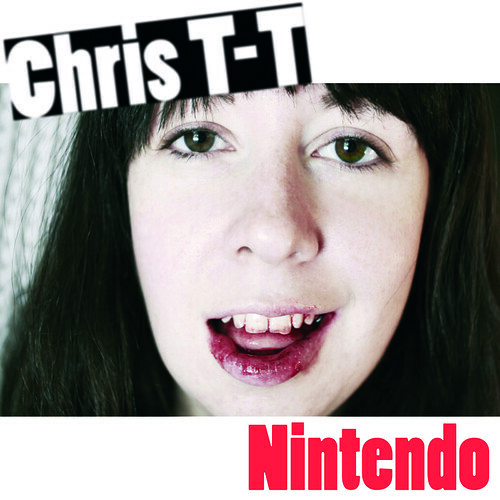 "Nintendo" is the lead single to be taken from his new album and is a great example of this as it sees Chris in a very introspective mood. This mood is set by the slow piano, forlorn trumpet and cymbals that sporadically crash in the background which all help set the scene for this tale of love lost and magical moments missed. To be honest I am a bit bemused by the hook line of "Get a job/Buy an Nintendo". It just doesn't fit with the rest of the song or am I just missing some massive cultural statement or aside from Chris? What ever it is I just don't get it. "Nintendo" is a nice, slow paced song with some good instrumentation and some nice lyrics. It's great to see a change in gear from an artist who has carved a nice niche for himself over the last few years and it seems that he wants to challenge himself in the process. One thing I will say that, as a first single from an album, "Nintendo" just doesn't have any spark that makes me want to listen to it again and again.